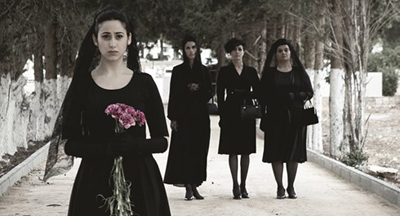 Award-winning screenwriter Suha Arraf (The Syrian Bride, Lemon Tree) makes her feature directorial debut with this story of three unmarried aristocratic Christian sisters from Ramallah who have been unable to come to terms with the new reality of occupation and the mass migration of Palestine’s aristocracy. In order to survive, they lock themselves away in their villa, clinging desperately to the nostalgia of their former glory. One day, their orphan niece Badia, walks into their lives and turns their world upside down. To preserve the family’s name, the three sisters try to marry her off to an eligible aristocratic Christian man. Will dragging Badia to every funeral, wedding, and church mass result in finding a good husband for her? Hedi is a taxi driver in Tunis. One evening he drives to the hospital a pregnant young woman who is going into labor. This brief encounter will bring a series of random, tragic and unexpected events, leading to a life-changing experience for both of them.